Executive editor Erin's cat, Pearl, recently went on a diet and has lost more than a pound. Yay Pearl! If you have a fat feline, you’ve likely struggled with conflicting emotions. You want your cat to be healthy, but you also don’t want it to go hungry—or worse, resent you. Rest assured: According to The New York Times, a new study in The Journal of Veterinary Behavior suggests that kitties on a diet actually show more affection toward their owners after they’re fed. Researchers from Cornell University College of Veterinary Medicine put 48 cats—each at least 25 percent heavier than they should have been—on three restricted diets with equal calorie counts. Owners filled out a long survey about their cat’s behavior before the diet, and how the feline reacted before and after feeding. At the end of the eight-week regime, more than three-quarters of the study’s cats had become more svelte. Behavior-wise, they paced, begged, and meowed more before mealtime, but they didn’t begin their pleas for food earlier than normal. There was a notable change, however, as owners said their cats purred and sat in their laps more frequently after feeding. According to experts, your tabby is likely tubby for several reasons. For instance, you might show your love for your furry friend with food, encouraging him or her to adopt affectionate behaviors to gain more treats. If you let your house cat graze from a food bowl at will, it might sometimes overeat when it’s bored. It's also hard to watch an unhappy cat swat or hiss when you skip a feeding. 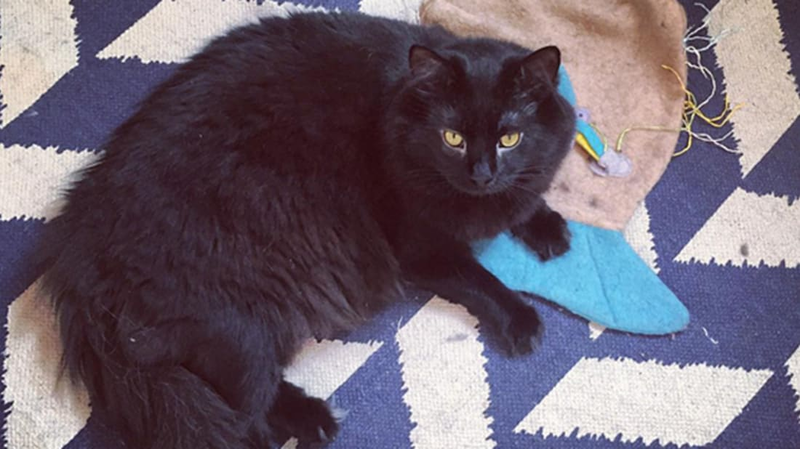 These factors might be part of the reason why 58.3 percent of pet cats in the U.S. were found to be overweight or obese in 2012, a figure that marked an all-time high in the feline obesity crisis (it dropped slightly to 57.9 percent in 2014). Since obesity increases a cat's risk for diabetes, heart disease, arthritis, and other conditions, it's in most pet owners' best interest to help their furry companions lose a few pounds. Now that you know your cat won't hate you if you institute pared-down portions, what else can you do to trim kitty's belly? Try instilling regimented feeding times two or three times a day, and engage its natural curiosity with toys and other playthings. This way, your pet is too busy running around to notice that it's missing its normally-scheduled snack. Other benefits? Your cat will burn extra calories—and might also be more likely to take a long, leisurely nap in your lap later that evening.